For me it was listening to Bernstein's Harvard Lecture series on LP in 1987 or so...but it wasn't until I ordered Kaplan's M2 in 1989 that I first heard a full symphony...I didn't know what to think at first, as this work seemed classical, romantic and modern and even post-modern in one package...nothing seemed to tie together at all. Bernstein, Karajan and Abbado were my main introductions to the other symphonies in 1990...after hearing Karajan's M6 and Chailly's M10 I became obsessed beyond measure. In 1995 De Waart's live M7 revealed the utter excitement of hearing this music live...I was a newbie and was quite impressed by the packed concert hall in Minneapolis...during the concert I was impressed by the orchestral effects during the scherzo and the loud brassy banging finale. Re: How did'ya discover Mahler? It was a very gradual "thang" with me. In college, people kept playing Solti/Chicago Mahler at me, and I never liked it (still don't). I eventually found that I liked Concertgebouw and LSO Mahler much better. The LSO made a number of great Mahler recordings in the the 60's and 70's. I was drawn in by Stoki's M2; Horenstein's M3; Bernstein's M8, and Solti's M9 - all with the LSO. I even like their playing on the recent James DePriest M5, but DePriest totally screws up the end of the finale. Nobody is going to convince me that that guy is a truly great conductor, sorry. Anyway, shortly after college, I got to the point where I was listening to every single Mahler recording I could get my hands on. Eventually, I expanded my taste to Berlin and Vienna Mahler, but only on the better recorded performances (there are plenty of duds with both of them). The rest, as they say, is history. As a member of a wind band, we made a concert trip to Bad Saeckingen about 20 years ago. As we always try to program some local music to win over the local people, we performed "Der Trompeter von Saeckingen" in an arrangement for wind band, with our principal trumpet player dressed in a robe and feathered hat in front of the orchestra. Didn't have a clue as to who Gustav Mahler was at the time, but that was my start. Nice memories of Bad Saeckingen too, at the time you could even cross into Switzerland by crossing a small bridge over a river. BTW: Ordered the Zinman M2, should be in by today. Can't wait to give it a spin. I was on a visit to see my brother near Rochdale,Lancs. from London. This was when i had been listening to classical m. for a year or so. Played his copy of record 2 of the Scherchen 7 (Westminster). He'd bought it s-h after hearing Mahler played by the 'alle Band (as the Halle was known in Manchester). Then I heard M.1 on the radio and being only a little impressed. Lastly,I bought the superbargain Delta discs of M.6 under Adler, and by then I was hooked. For some years after,I went to as many M. concerts in London as possible. I've always been grateful to my bruvver and have told him so. 10th grade, my high school band director had m1 & m2. i borrowed the lps (1965) and was hooked. The Second Symphony by Bernstein/NPO was my first exposure to Mahler. After hearing that my life was changed forever. I cannot say that, upon hearing a Mahler work for the first time, I was immediately hooked on Mahler. For me, Mahler was an acquired taste, and it took some time for me to get accustomed to his music. 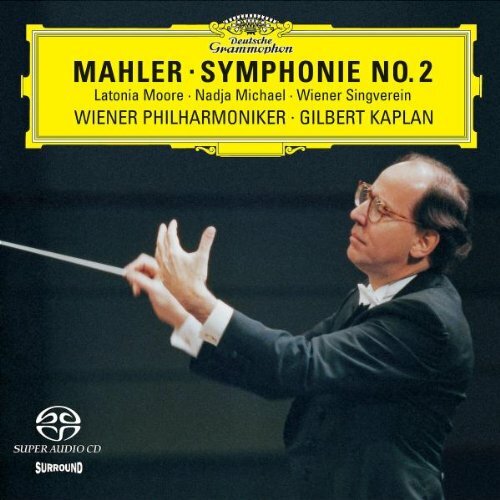 I first heard Mahler in the mid 70's when I bought Bruno Walter's Columbia Odyssey recording of the 9th. I read the liner notes, and found Mahler's story touching, and the music poignant. However, I did not pursue any of the other symphonies. In college a year later, one of my roommates was heavily into Mahler, and had most of the Haitink recordings. I could not get interested in them. I found the "Brüder Martin" march in Symphony No.1 to be ridiculous (though I liked the first movement). I found it odd that there was singing in so many of the symphonies, and some of the symphonies seemed too long. I was particularly bothered by the fact that the first movement of No. 3 had to be split to two LP sides! However, I later heard the early Columbia Bernstein recording of the 3rd on the radio one day during a long drive, and I found the symphony fascinating. So, gradually, I began to acquire a taste for the rest of Mahler. His polyphony had always sounded like cacophany to me, but eventually my ear began to appreciate all those sounds playing at the same time. Eventually, I had another roommate who was also into classical music, who hated Mahler. His objections were much like mine had been. Eventually, something clicked for him as well, and another Mahler proselyte was born. Just remember that when you play a Mahler symphony for some people, they may react negatively, but will hopefully warm to his music over time. When my wife and I were married almost 20 years ago, she had never heard much Mahler, but over time has besome quite a fan. There are still a couple of symphonies she does not know terribly well, but now that her ear "gets" Mahler, she is usually open to all his music. Thanks for the great posts here...it's interesting to read how others got into Mahler. It was a slow process for me too. I was 10 years old when I first heard a Mahler symphony. I think it was the Fourth. At that time a Korean radio station was presenting a whole Mahler cycle but since the time was limited to one hour each day they could not play through the ends of M2, M3, M5-M9, and DLVDE. Can you imagine how frustrating it might have been, not being able to listen to the end part of each symphony. Anyway, upon hearing M4 I said to myself, "Nothing makes sense. Very modern music combined with classical elements, a tender passage followed by thunderous climax?? Who would listen to such music? These were the skeptical thoughts that sprung to my mind immediately. But a several days later they played it again (for some reason I couldn't remember), and this time I exclaimed, "Of course it all makes sense!". Suddenly, the musical passages that I could not follow just a few days back sounded all connected and I got rapidly hooked on the whole piece. That was the beginning of my journey into Mahler and his music. From that point on it actually didn't take too long to master M1 and M2 followed by M5, M8, M3, M7 (which took some time to get used), and then M6, M9, DLVDE, in that order. I recall that upon hearing the complete finale of M2 which took place a year later, I almost freaked out of my seat and ran to my mom to tell her that I've just heard the greatest music I've ever know. As for DLVDE, it was near my house when I heard it for the first time, in the street from a speaker set by a local store. For me Mahler was like a hidden treasure which I had somehow negelected by ignorance, but once its greatness was recognized I became addicted to the music permanently. Around 1960 I travelled 200 miles from my hometown to hear the great French baritone Gerard Souzay singing in an orchestral concert. I was initially disappointed that he wasn't doing any French opera or songs - instead a song cycle about the death of children by a barely-heard-of composer. As I expected the singing was superb, but the music was even better and I was hooked forever. There were few recordings of other Mahler works then, although I did get hold of the DFD/Kempe recording of the above song cycle on a 10-inch EMI (and I still play it). For my 21st birthday in 1961 some enlightened friends presented me with the DFD/Dickie/Kletzki DLvdE and another new world opened up. Other song cycles became available and helped a move into the symphonies. I had a false start there because everyone said "listen to Berstein" when they should have told me that Bernstein was the only readily-available source in those days. I didn't like his approach then and I don't like it now, so for a while I dismissed the symphonies. But viable alternatives started coming onto the market and the addiction was completed. When I was three years old. . . . Now there is a promising opening. The rest of the sentence is: I was listening to a cracked 78 rpm record of Fanny Brice singing "I'm an Indian," played on a windup Victrola--the doors in front providing volume control. A few years later, shortly after the arrival of the CD, I was shopping for additions to my growing collection. My daughter, a sophomore in college at the time and a student of music, asked, "Do you have any Mahler?" Well, Mahler was a name I had heard but not the music. What came most easily to hand was the ubiquitous Solti-CSO Symphony No. 1. So No. 1 was my number one hearing of Mahler. Noisy but fun. Some months later I picked up No. 4. Even more fun. Every now and then a Mahler piece might be aired on the radio, time permitting. Then one night--about ten years ago, I think--returning home we (my wife and I) had the car radio on, tuned to the local classical music station; and the music was something grand, quite grand. Whose music is that? Wagner? Strauss? Mahler? It was still on when we arrived home, so we rushed in to tune it in. And what a finale! Wow, we both exclaimed. Then the voice of Henry Vogel explained that it was Kiril Kondrashin's interpretation of Mahler's Third Symphony. It took a while and a bit of money, but I finally landed the Kondrashin set. And I was off on a Mahler jag that hasn't diminished yet. Bless my daughter and Henry Vogel. My dad would listen to M5 sometimes when I was a young kid, in Atlanta. Over the years I very gradually moved away from rock to classical music and sort of completed the transition in college, which corresponded to the height of the Napster boom. I downloaded some anonymous M5 recording and immediately recognized it. Emailed my dad and asked him about Mahler; he said to find a good recording of M5 and M2 and go from there. Now I have at least 4 recordings of each symphony . Total overkill. Just a few weeks ago my dad and I saw M5 live in a very fine performance by the North Carolina Symphony under Grant Lewellyn and it was a lot of fun. They did M2 last year (also very nicely done) and will play M6 this coming November, which I'm really looking forward to. Did I say Vogel? Shame on me. It's Henry Fogel. It must have been the influence of friends visiting from Germany. I discovered Mahler through my first discovery of compact discs. I worked as a bagger at a grocery store which was in the vicinity of a music store. My father owned a CD player, so I bought some CDs for a dollar each on the 'Pilz' label. The works were as Dvorak sym# 4, Bizet Carmen suite, Debussy 'The Sea', Mahler 'Titan'. They all impressed me, especially the complications of the Debussy and Mahler. A few months later I started investing in more expensive CDs and my own CD player. Through the accumulation of Mahler symphonies, I knew he was 'the man' for me. It seemed to me that Mahler broke the classical barrier; In other words, he didn't limit his scrutiny to the decadents of acrostoratic pastimes, he was the Earth's composer. That was a slow process. In the late 80’s I asked a colleague and friend of mine – violinist in an orchestra – to recommend some “classical” CD’s (I came more from Jazz and some Progressive Rock and wanted to hear more). My favourites at that time were Bach and Bartok. The most interesting pieces among his selection were Bruckner’s 5th and M5 (Bruckner more than Mahler), but I wasn't totally hooked by the M5. Looking back I would say, that Inbal’s M5 is not the best choice for a newbie. Some time later, some evening (I remember it exactly), I bought the M5 of the Bernstein “collection” of that time (DG). And that did the job: this music totally lived. I heard it again and again. From then – slowly – I tried out the 6th, 1st, 7th and so on. I think all my first choices (Rattle, Solti, Gielen) were not the best one's, but Mahler's music shines through.